Monday 02 of November, 2015. 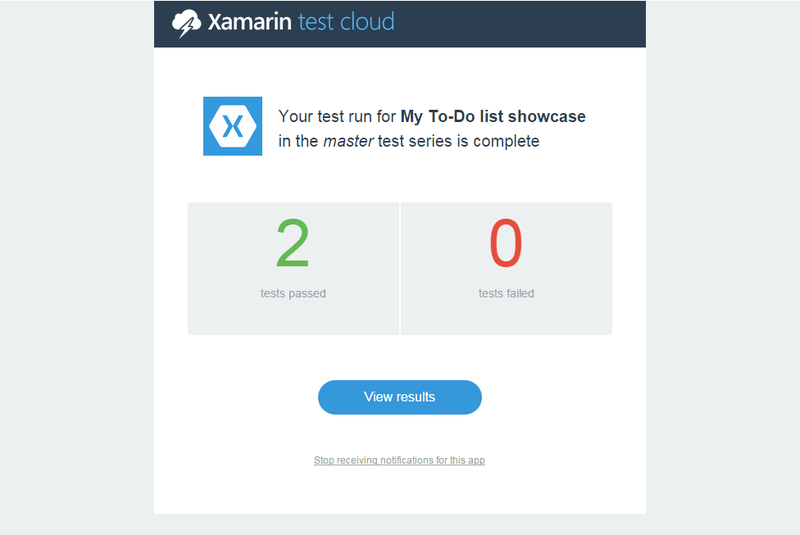 Let’s take a look to Xamarin’s Test Cloud and examine the basics for implementing automated UI Acceptance Testing for mobile application and explore the main features of this product. Setup the UI test-project with UITest in C# or Calabash (Ruby). Arrange, Act and Assert your tests. 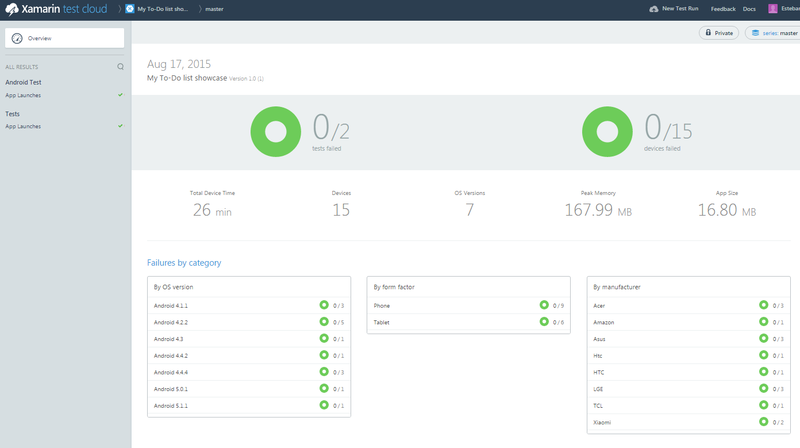 Submit and run your tests in the cloud. If you already familiar with Unit Testing in .Net, you can easily start your UI tests for your Xamarin Forms and scaffold the project by just indicating the name and location of your test project. Now, UITest for C# is fully based on NUnit so if you are already familiar with it will be as easily as your normal Unit/Acceptance tests for other projects. Here is how to add the project step by step with more details. Target the platforms you need. By having the project in place, you can just just add the reference and target both Android and iOS from a single cross-platform test suite. You can take a sample from our repository in GitHub, where you can locate the prototyping app and the code for the UI tests as well. By abstracting the application with the IApp member, it will allow you to have shared test suites for both Android and iOS. So by extending the previous class we are able to define the body of test to be run in every platform. Let’s add some basic tests to make sure our app is loaded the first time. Then our new class can both contain both shared test-cases and add any platform-specific tests if necessary. 3. Submit your tests to the cloud. Once you have the project in place, you can just start running your test cases right the way. But before running the test suite in Xamarin Cloud, you need to make sure you’re deploying it in Release mode in Visual/Xamarin Studio to make it work. After uploading, you will be prompted to select the number of devices to be run against your test suite that best fill your needs. 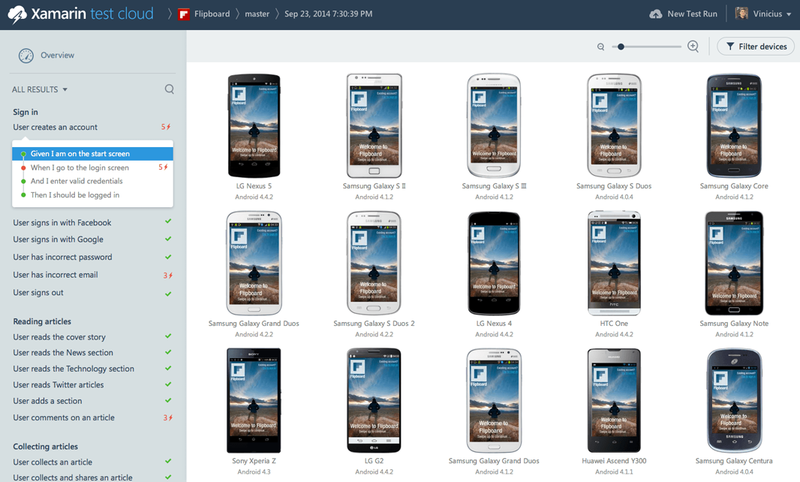 After run, you can inspect the screenshots that we previously indicated as part of the test cases. Here is how you can submit your tests step by step with more details. There you go! Your tests will start running and you will immediately receive the results as they execute. Additionally, you will receive an email after the tests are done. Here are the results for the sample app test run with the screenshots taken during the test executions. And that’s it! Now we can focus on implementing more tests depending on application’s needs. In further posts we will additional features of Xamarin Test Clould including REPL and deeper assertion cases.